This private, family-run hotel, now in its 4th generation, welcomes you with excellent service and will make your stay in this romantic town into a unique experience. As one of the few remaining owner-managed 5-star hotels in Germany, we are the first choice for many people from Heidelberg and the surrounding region for birthday celebrations, weddings and festivities of all kinds. If you’re looking for an impressive 5-star hotel in Heidelberg, then the Europaeischer Hof is the perfect answer. This exclusive hotel is distinguished by its fascinating history. Founded in the year 1865, the Grand Hotel has a long and eventful past to look back on. Originally, it was called “Hotel de l’Europe”. Since the year 1906, this 5-star hotel in Heidelberg has been a family-run business and is now in the hands of the 4th generation of the von Kretschmann family. In 2015, we celebrated the hotel’s 150th anniversary. 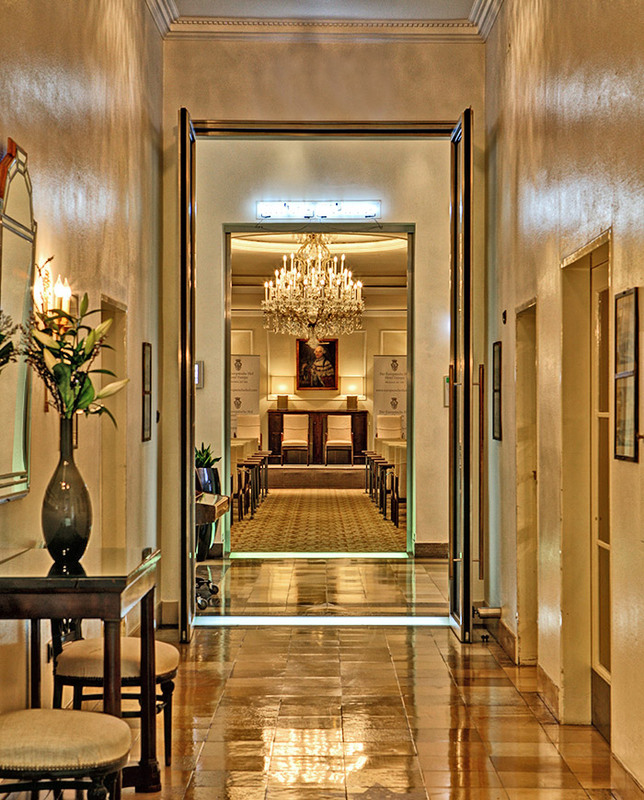 From the very beginning, the Europaeischer Hof Heidelberg has been a temporary home for guests from all over the world and has served as an elegant lounge for the residents of the city. The buildings and rooms have been lovingly renovated and are regularly modernised, and will therefore not only meet your expectations, but even exceed them. We have always made sure to preserve our tradition, so that today, the Europaeischer Hof hasn’t lost any of its magical character, its charisma or its charm. Let the exceptional ambience of this hotel in Heidelberg win you over and experience how tradition and modern flair are harmoniously combined at this exclusive venue! Perfection in your luxury hotel Exclusivity is spelled with a capital E at the Europaeischer Hof, a truly unique luxury hotel in Heidelberg. In addition to 14 Junior Suites, an exclusive Penthouse Suite and four Serviced Apartments, the hotel also has 100 single and double rooms on offer, where you will feel completely at home. Babysitting, various business amenities and the laundry and car services are part of the standard services offered by the hotel. On top of that, an exclusive shopping arcade for ladies’ and men’s designer fashion, a hairdressing salon and a master goldsmith’s studio are at your disposal. 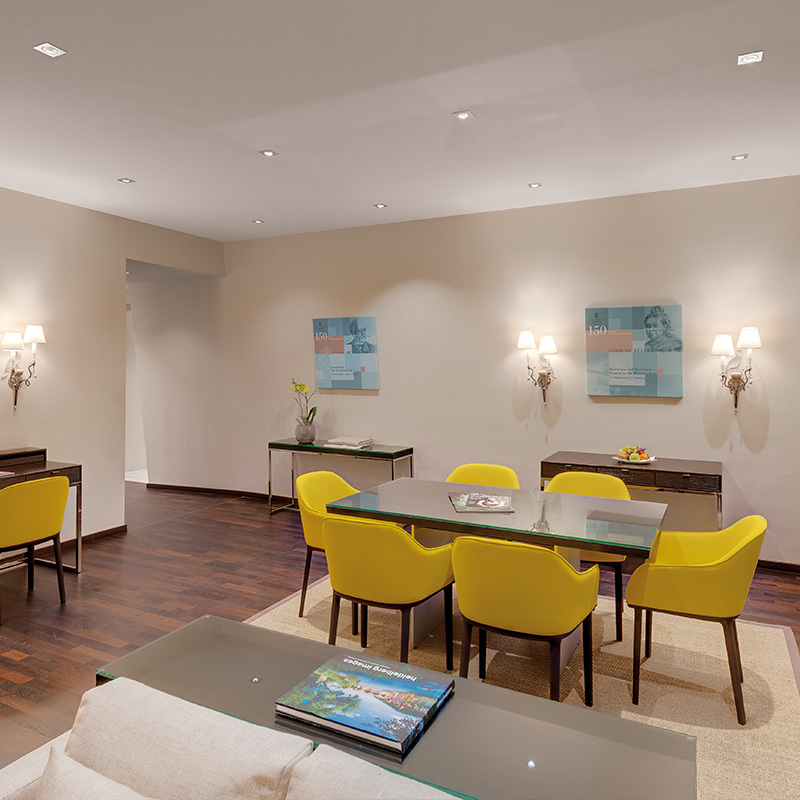 Over and above the normal hospitality, this 5-star hotel in Heidelberg offers its guests so-called Serviced Apartments. Here, you are offered the combination of a particularly luxurious flat and the excellent service of a superior 5-star hotel. The exclusive apartments are directly adjoined to the hotel. This way, all the hotel facilities can be used as desired without missing out on privacy. The Serviced Apartments are an ideal alternative to a hotel room if you’re planning on being our guest for a longer period of time, if you’re travelling with family, or if you simply appreciate having more space. Here, you will feel as if you are within your own four walls. 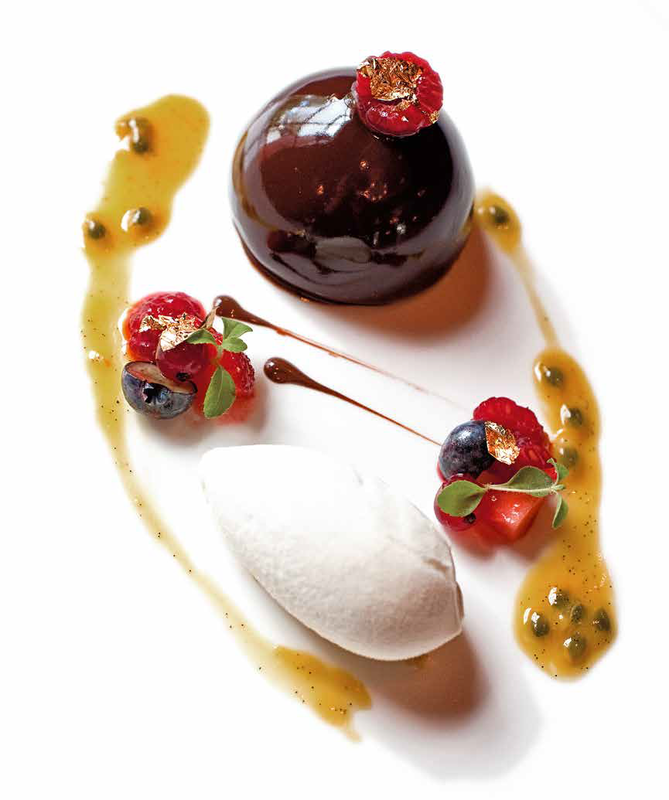 It’s not only the rooms and the service, but also the cuisine at the Europaeischer Hof Heidelberg that inspire and indulge even the most discerning palate. As a connoisseur, you can enjoy à la carte dishes or a set menu of the highest quality at our restaurant Kurfürstenstube, while the restaurant Fritz serves seasonal specialities. During the warmer months, our summer restaurant tempts you to enjoy a fine lunch or dinner in a beautiful setting. Our Culinary Calendar offers you diverse seasonal specialties and exciting events. That’s how we can guarantee you, our guests, a variety of fascinating culinary delights each time you visit. Of course, we will tailor the quote according to your wishes. In the following, you will find a summary of our equipment and services at a glance. Most areas of the hotel can be accessed without taking the stairs. For mark this special anniversary, the von Kretschmann family created a very special programme of events. They invited their guests and anybody who wanted to join them on a journey through time – a journey through twelve periods of contemporary history, from the end of the 19th through to the 21st century. Each month in 2015, a different era was highlighted. Music, literature, readings, discussion evenings, theatre and movies awaited the visitors.